Have you found yourself wondering? What happened to my students’ motivation? How can I use simple patterns to deepen abstract understanding? How can I foster student engagement in learning? Have children lost a work ethic? What can I do about it? How do I encourage academic risk taking? Is there a role of play and reflection in math? Why are my students playing it safe? What makes an engaging learning community? Are there learning differences in males and females? How does stress and perception impact mathematical success? Is there a year that impacts math success long-term? Does heart factor into math? 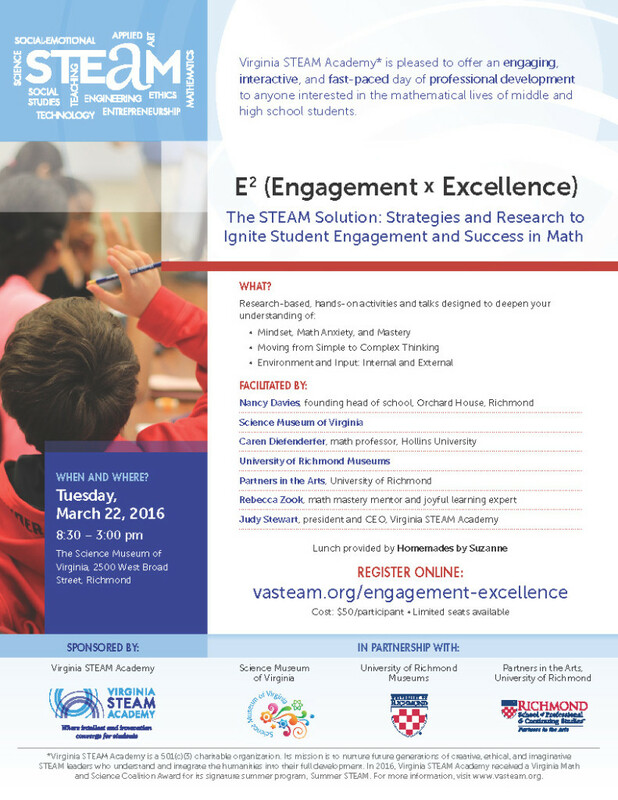 Virginia STEAM Academy* is proud to offer an engaging, interactive, and fast-paced day of professional development to anyone interested in the mathematical lives of middle and high school students. Lunch is provided (Homemades by Suzanne). In the event of inclement weather or circumstances beyond the control of Virginia STEAM Academy, we regret that refunds are not available. Register today for our Professional Development Symposium. 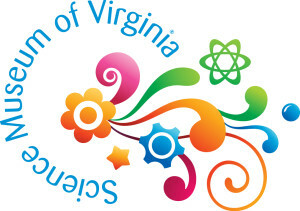 We hope to see you on March 22, 2016, for a rousing day of math and hands-on experiences!